2.3 How Long Does Homemade Playdough Last? Playdough and slime recipes are a hit here at home and definitely my kid’s favorite sensory activities to play. But if you have a preschooler at home chances are you are going through pots and pots of playdough because they just can’t get enough! 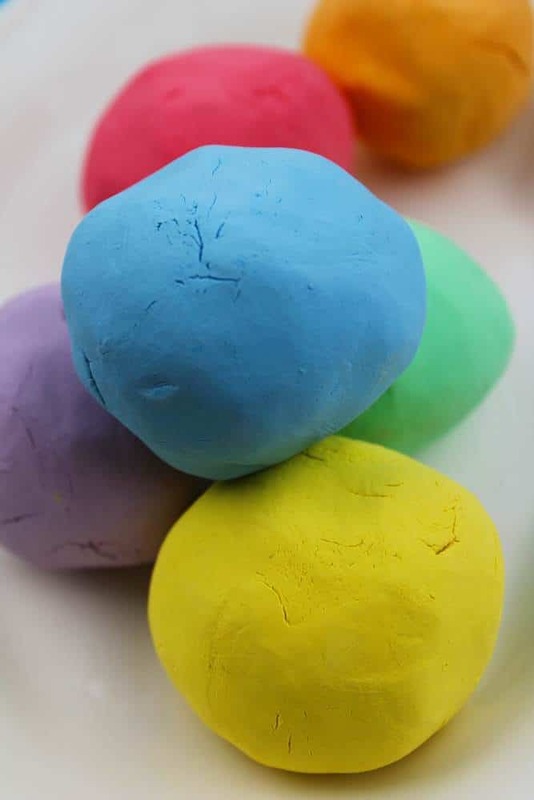 Store-bought play dough can be expensive, especially if you are a preschooler teacher and have several little hands eager to play with it. Also they might not smell well or have a crumbly texture. 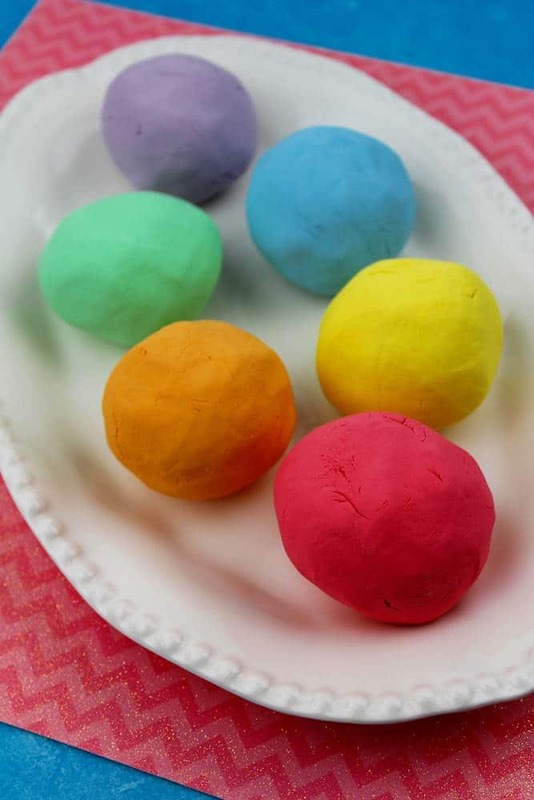 So why not DIY playdough? 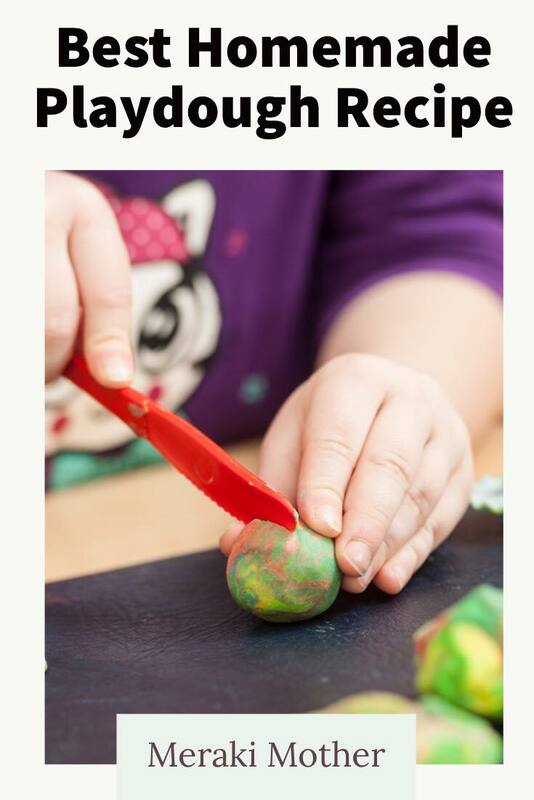 If you think that making playdough at home is hard, maybe I can help with some tips. 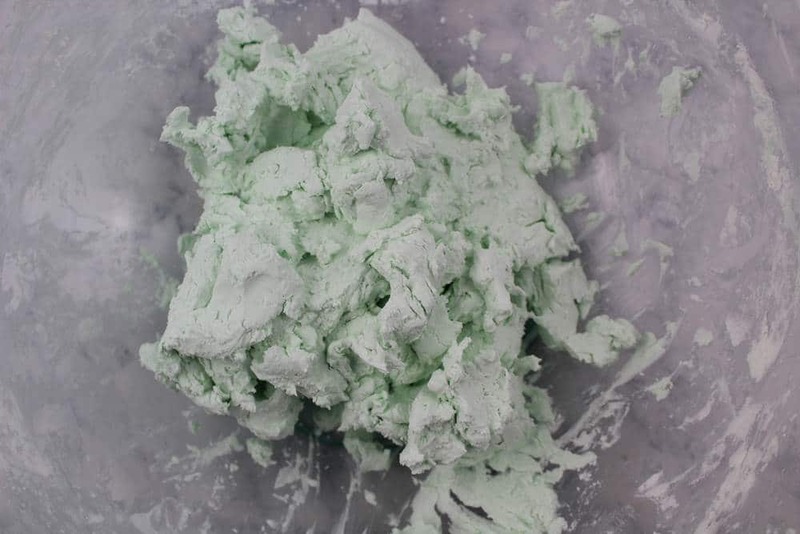 Chances are that you came across a play dough recipe that requires baking or maybe you have one of the many recipes showing how to make playdough with cream of tartar. But not everyone has cream of tartar at home! 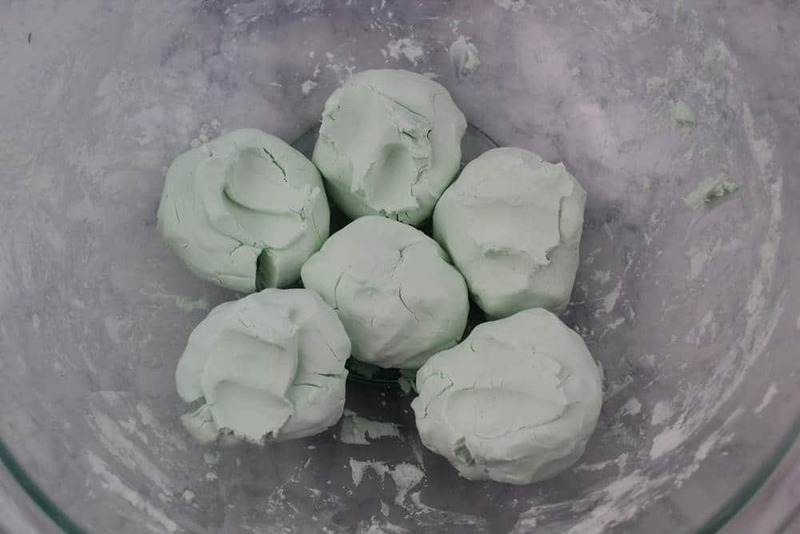 Can you make playdough without cream of tartar you wonder? And the answer is: Yes you can! I have tried a hundred different play dough recipes but I really wanted to try one that used no salt or cream of tartar! 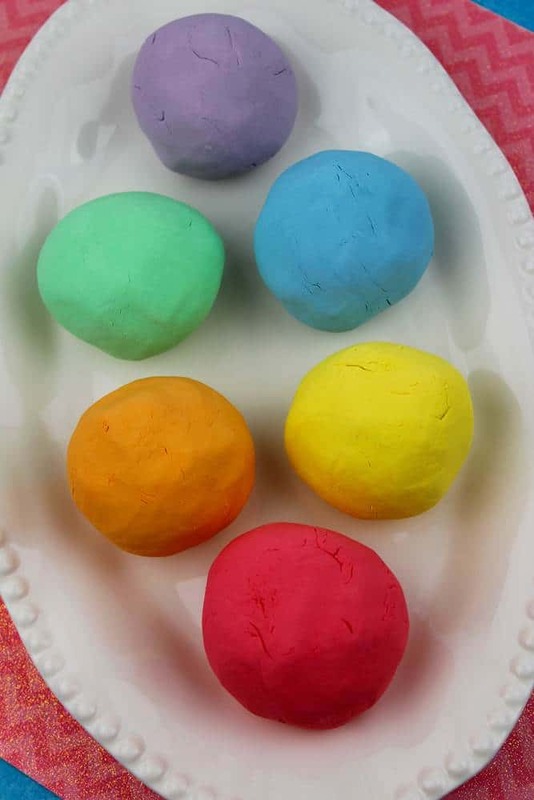 So if you are searching on how to make playdough without salt this recipe is for you. But also if you are looking for the perfect recipe on how to make homemade playdough without cream of tartar you came to the right place indeed! Because here we have the easiest homemade playdough without salt, cream of tartar or baking. Only 3 ingredients which you probably already have at home. 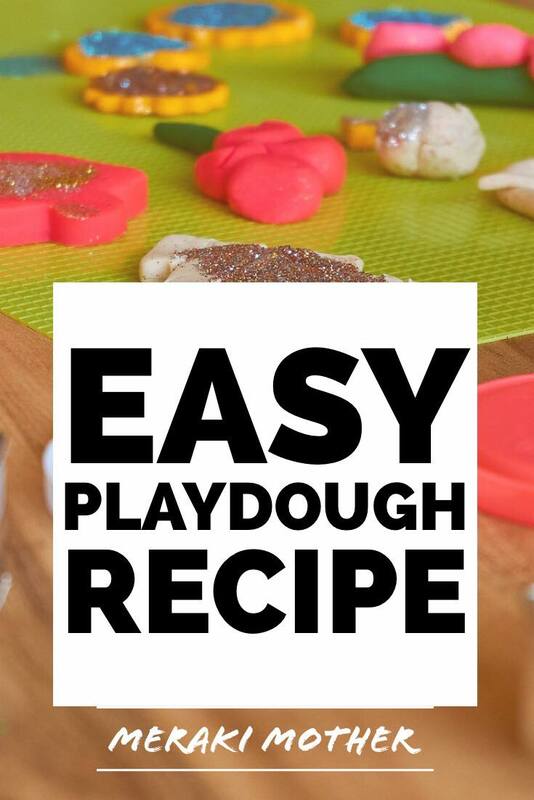 This recipe is also perfect if you are searching for how to make playdough without flour because we used another ingredient! Ready to learn more? Follow along for our this simple recipe. My kids also love playing with slime, check this cool Pineapple Scented Slime recipe now! 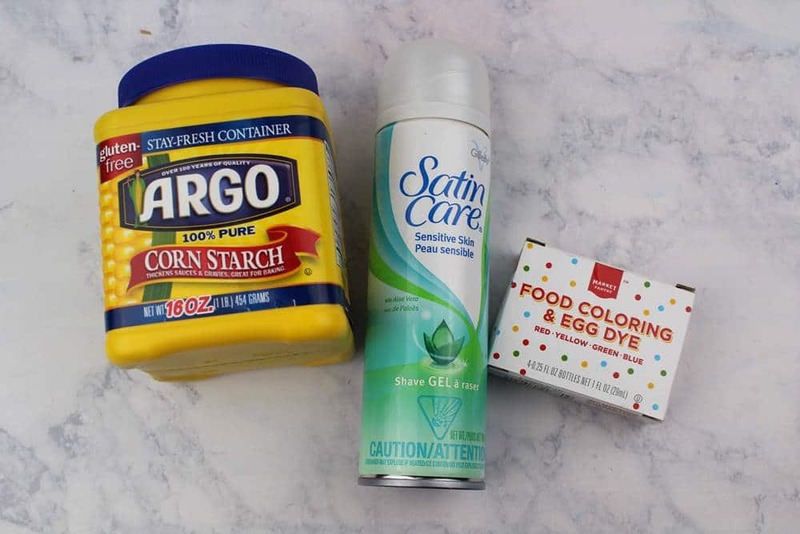 For this simple playdough recipe without cream of tartar you will need the following supplies and tools. 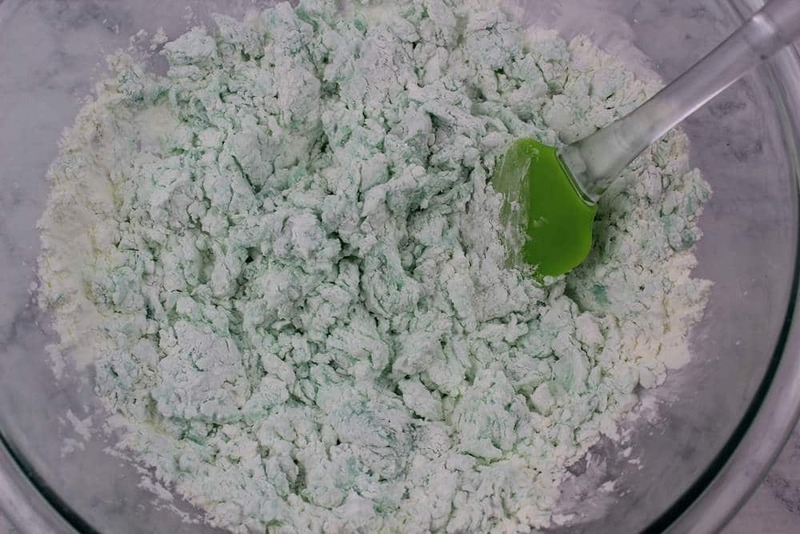 In a large mixing bowl combine 1 cup of shaving cream with 2 cups of cornstarch. This are the first 2 ingredients for the homemade play dough recipe without cream of tartar. Later you will color it! Need to top up your supplies? Click to find the best prices on Shaving Cream and Cornstarch. Stir the mixture of shaving cream and cornstarch to combine. Use your hands to knead the rest of the cornstarch into the dough. If the dough feels too sticky, add more cornstarch. If the dough feels like it’s crumbling, add more shaving cream. Separate the dough into 6 equal amounts. 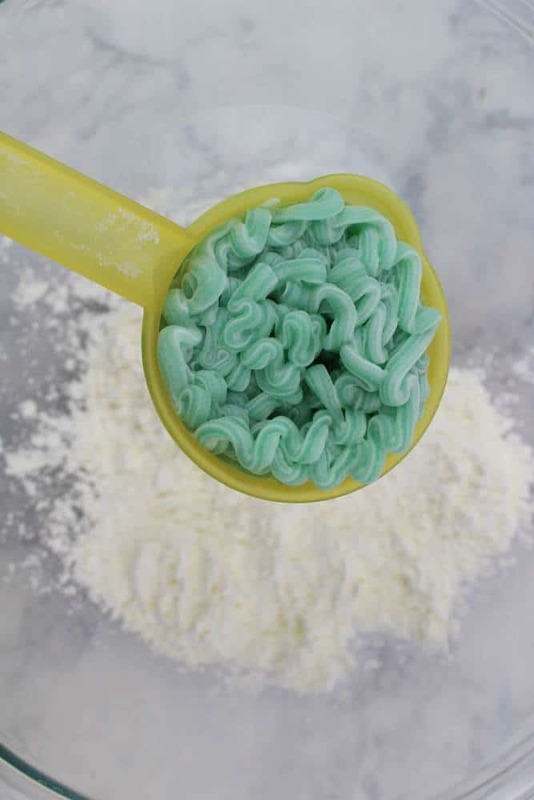 In a large mixing bowl, use a fork to mix in food dye to each ball of dough. 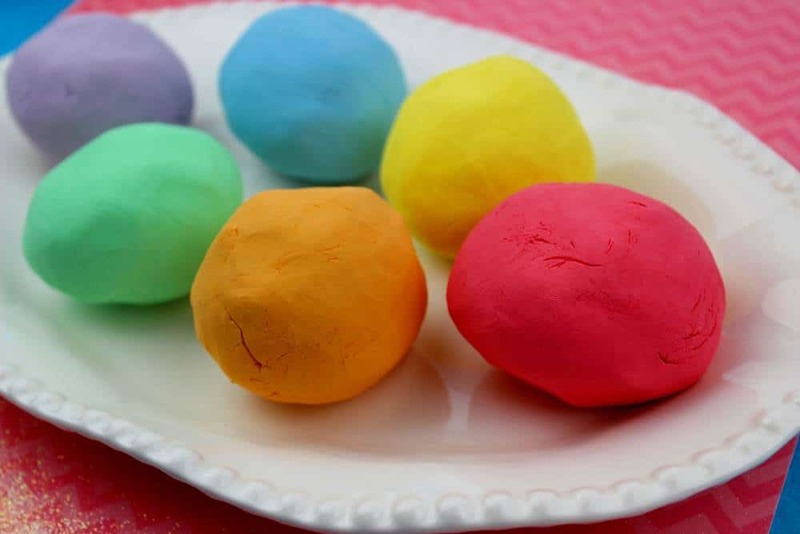 Tip: for soft pastel playdough color add less food dye, for bright playdough color add more food dye. 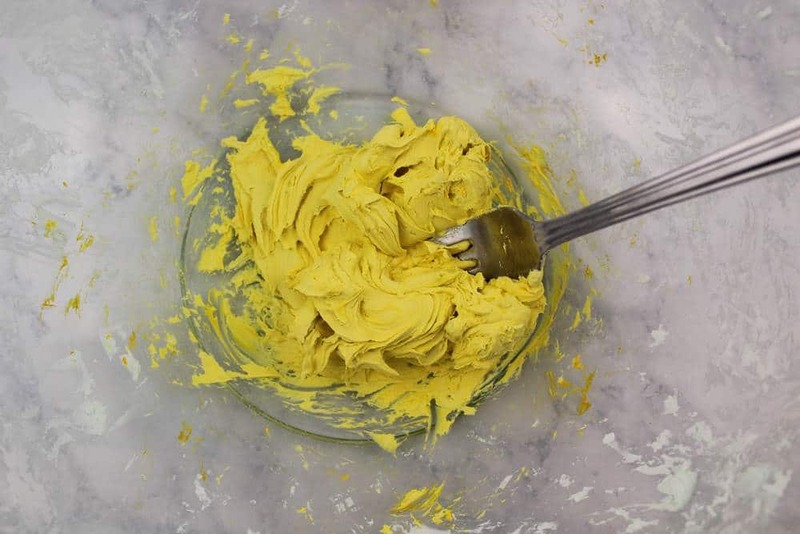 Once the color is mostly mixed in, add a few pinches of cornstarch and knead the dough until the color is fully combined. Your dough is ready to be played with! Now that you know how do you make playdough without cream of tartar it is time to store it properly! 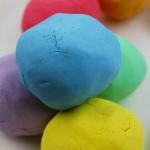 This is a question people ask very often: how to store homemade playdough? And the answer is simple, the same way you do with you store-bought play dough; in an airtight container. This is to avoid the playdough from getting dry and becoming crumbly. So after you have made this batch just store in airtight containers. You can find good airtight containers. 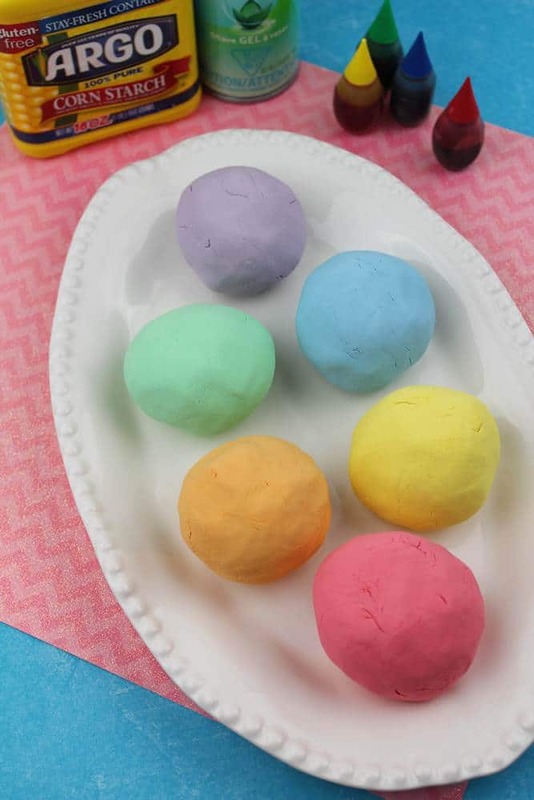 How Long Does Homemade Playdough Last? It depends on the recipe and the way you store it, but homemade playdough can last for months and months. 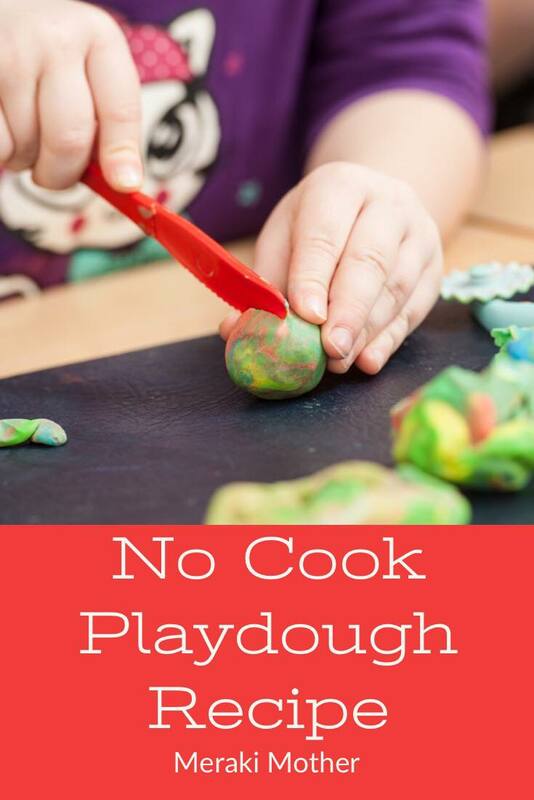 Playdough recipes that are cooked or contain high quantities of salt can last longer. You can keep this recipe in an airtight container in the fridge to help it last longer. Check out our Craft Section for many more creative craft ideas and inspiration! How much shaving cream and cornstarch? Can you use any shaving cream? Hi Cassie, Yes any brand will be fine. Have fun creating. I found using shave gel (like Skintimate) is much more effective than using something that foams instantly like Barbasol. It combines better and retains moisture better. Thanks for the recipe! 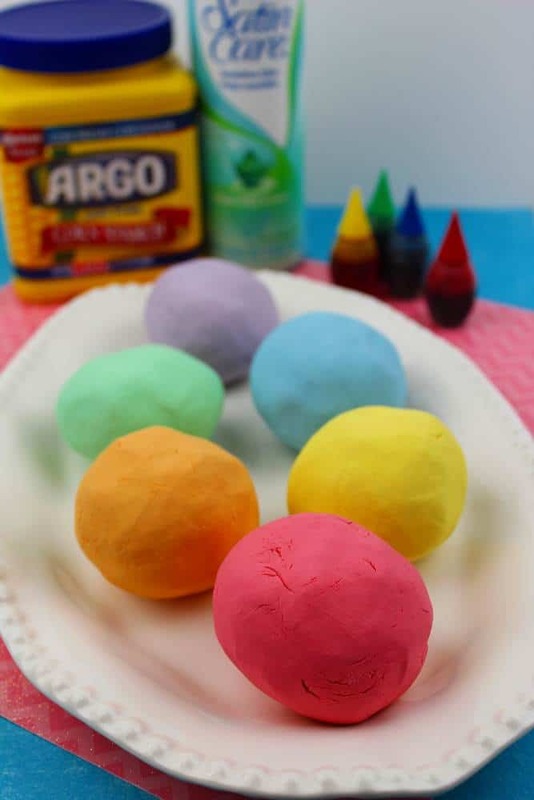 I’ve tried so many different recipes for play doh my therapeutic after school program but this is the closest to feeling like the real thing. Thank you so much for helping our readers with that great advice Molly. Hi! Thanks for this recipe. It worked the first time & I even used foam shaving cream instead of gel. Kids loved it! It’s so quick and easy isn’t it? Our kids love it!